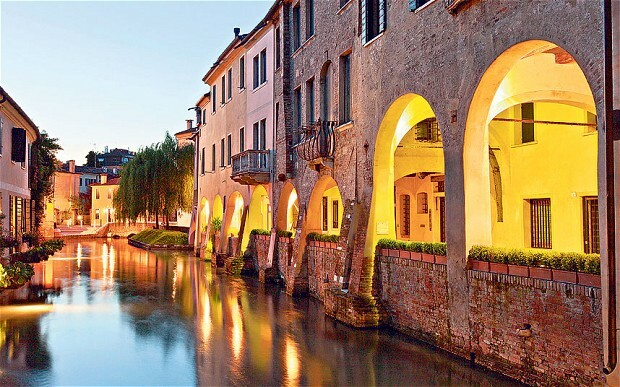 Treviso is a city to be discovered, without striking monuments, it offers incomparable places, views and experiences to be lived in complete relax. Let’s start this trip around Treviso, for sure don’t miss the three churches: the Dom with Tiziano’s fresco in the chapel Malchiostro, the Church of S. Nicolo’, and Church S. Francesco where Dante’s son and Petrarca’s daughter are buried. Explore the exhibitions program at Ca’ dei Carraresi, Via Palestro, 33/35, +390422513150, and just around the corner you reach one of the most suggestive areas of Treviso: the Pescheria area. Browse here through the alleys interrupted from time to time by the Cagnani (such are called the little channels in dialect) of the Botteniga river and enjoy the small shops.